My family loves Red Beans & Rice. Although I did not grow up the south with anyone teaching me the traditional recipe, I have played around with a super quick version that my family loves. I have been playing around with di&#38fferent "Quick" versions and finally came up with two that my family say are keepers! Today I have two versions for you. One with a thin sauce that soaks into the rice, the other a thicker sauce, more reminiscent of the Popeyes Version. In the thin recipe I featured Kielbasa and in the thick version I used 3 Grilled Brat's left over from our Super Bowl party. Open both cans of beans. Drain only one can of beans, leaving the other can with all it's chili sauce. 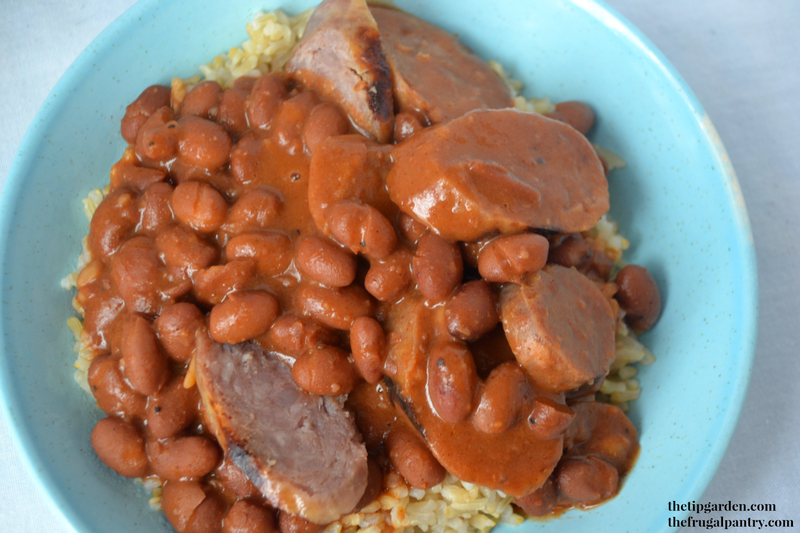 In medium sauce pan over medium heat combine both cans of beans, water and cajun seasoning. Add Kielbasa to saucepan and stir well to mix. Turn heat to simmer while cooking rice. 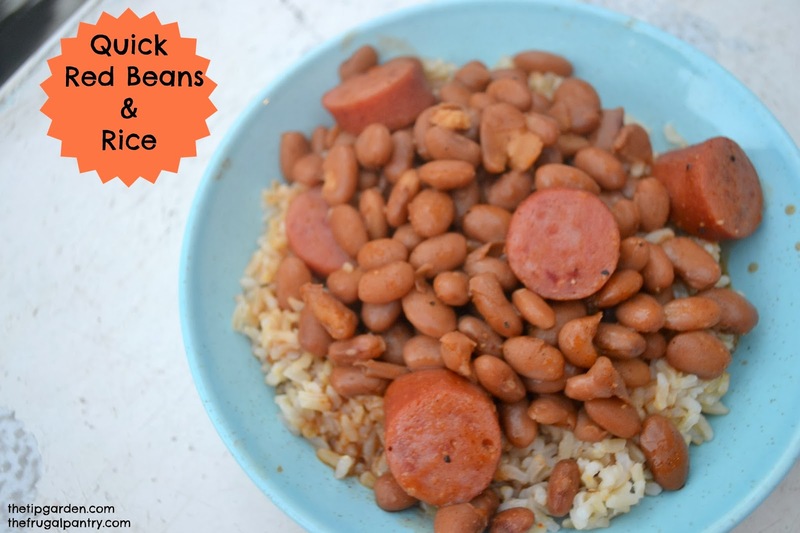 Serve Red Beans over Rice. Open both cans of beans. Pour both cans (don't drain them) into a medium sauce pan. Mix the blended beans back into the sauce pan. Simmer over low heat till warm and bubbly. Serve Red beans over the rice. So easy, yet so yummy! Those are the best kind of meals! what brand of chii beans do you use? Robin, I have not been very loyal to one brand, but am finding a HUGE difference in the taste/quality of the chili sauce from the generic store brands to the national brands. This last batch was a Bush's Chili Bean, but I sure am open to suggestions for a good tasting brand or off brand!